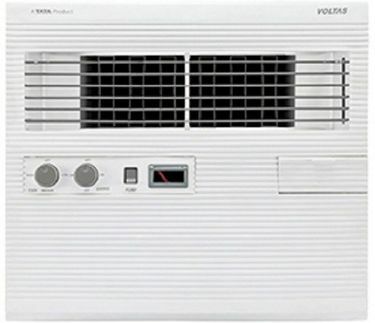 Voltas is a multinational air conditioning, refrigerating and engineering company based in India. 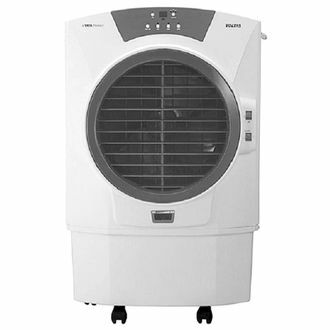 It manufactures and sells several kinds of air coolers that are suitable for people across the country. 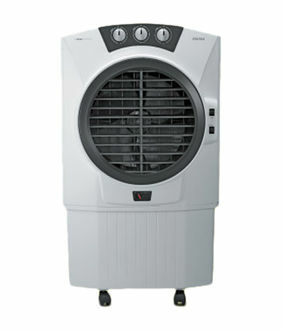 It also has 50 L-59 L capacity air coolers in its lineup that are suitable for a small-sized room. These air coolers can handle hot temperatures as they have a powerful cooling capacity. They are made from a corrosion-free thermoplastic material that gives them strength and durability. They are made using the latest technology that consumes less power and has large cooling coverage area. There are various convenience features in these air coolers such as Ionizer, Humidifier, Water level indicator and Overflow indicator. 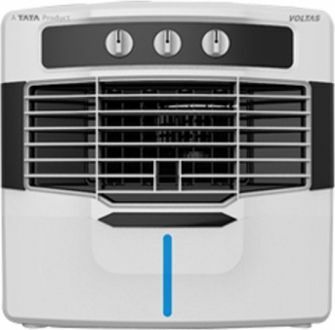 You can check out the price list of 10 Voltas 50 L-59 L air coolers given below and it is updated on 20th April 2019. It also has a 3-speed rotary switch to control the speed of the motor and come with a fully functional remote control. The air coolers from Voltas are available to buy online from leading e-commerce websites like Flipkart, eBay, Snapdeal, Tata Cliq and Amazon. 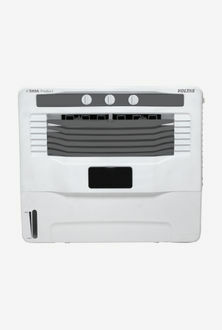 The air coolers also come with dust filter, ice chamber, honeycomb pads and mosquito net. 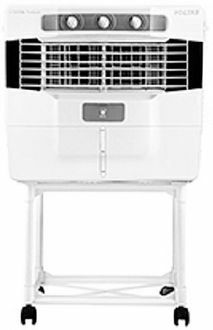 If you compare the price of these air coolers on all leading online shopping websites, you can get it at the lowest price online. It is where our price comparison tool comes in handy that compares prices across various online stores. You also get latest deals, discounts and cash back offers if you buy the product online.